I wasn't quite sure how to handle this title on this blog entry. 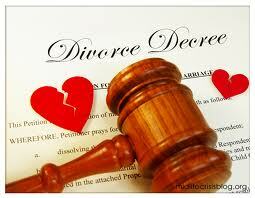 It is not about me "divorcing" my friendship with an old friend. It is about an old friend who is facing the same thing I did about seven years ago; divorce. Jake (not his real name) is a lifelong car salesman. He's made a decent living out of this line of work. But, at age 60, he still has to work instead facing retirement in which I am safely ensconced. Jake and I are the same age, have known each other for about 25 years now. So, we are basically brothers in one sense of the word. We have had our ups and downs over the years. But, despite it all, our friendship has endured. That is why I was greatly saddened to learn last Saturday that Jake and his wife of 32 years were getting a divorce. Stunned is not the word I would use. Astonished might be more applicable. I always thought that he and his wife got along splendidly. I suppose outward appearances can be deceiving. I know that when people found out that my wife and I were divorcing (less than a year after my retirement), the news was greeted with shock and awe. Of course, I knew our marriage was in trouble at the time of my retirement. I had a feeling things would get worse since we would be spending so much time together. Turns out I was right. But, there was no inkling that Jake and his wife would be heading to divorce court. I did not ask Jake what was the reason. He voluntarily told me that he and his wife had been drifting apart for the past 5 years. Both their children (boy and girl) have left the nest, have college degrees and good paying jobs even in this troubled economy. I could see the pain in his face as he told me this terrible news. I completely sympathized with him as he became emotional. I told him the same thing he told me when I broke the news of my divorce; anything I can do, just let me know. I'm here for you. And, basically, that's all you can do at a time like this for your friends or family. Just be there for them, give them a shoulder to cry on, a sounding board to hear their lamentations. Jake and I will be going to dinner tonight. No, there will be no chasing of women in nightclubs for these two old geezers. We are far past those days. Instead, we will eat at our favorite steak restaurant, reflect on life, family and, of course, our enduring friendship. At times like this, you find out who your real friends are in life. I found that out 7 years ago after my divorce. I suspect Jake is going to find out the same thing. I hope he realizes that I'm one of those friends he can depend on, just as I depended on him 7 years ago.